where everyone has a chance to win! Whether it is for an adult or child's party, we have a party package available for you. Check out our tournaments! Come join the fun! Check out our pro event's & meet our pro players! A gem in the heart of Brooklyn! 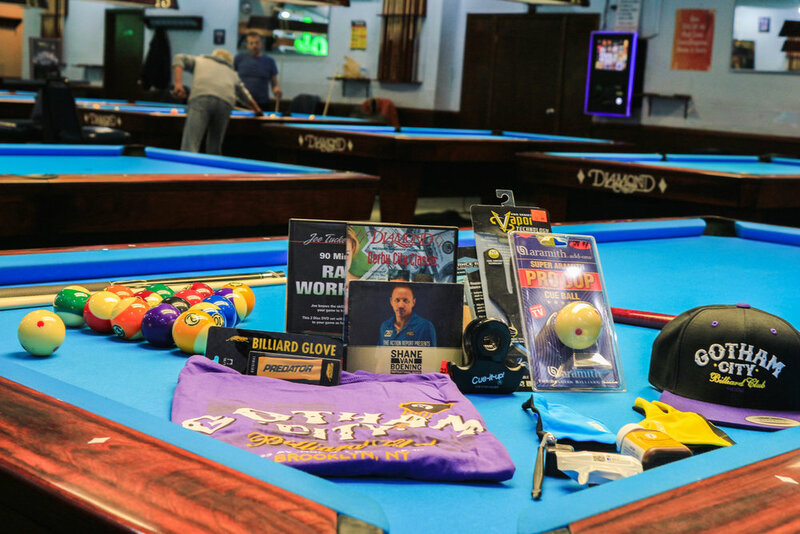 Whether you are a serious competitive pool player or just a novice coming to have fun, you will not be disappointed. 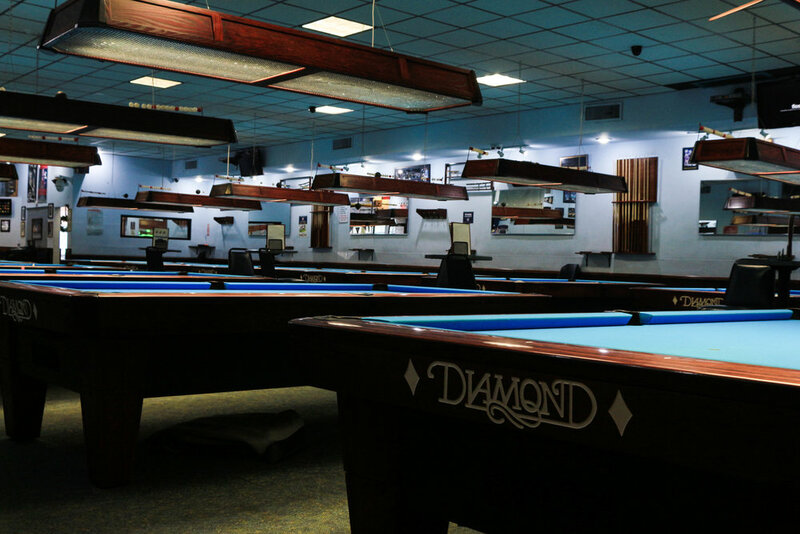 We did a complete renovation in August of 2013 and have brand new Diamond Pro/Am tables and lights as well as a 10 foot Diamond Pro/Am table. We have a state of the art online jukebox for your listening pleasure along with 5 HD TV’s to watch all of your favorite sporting events. Some things however, never change. We still have lots of sports memorabilia to look at as well as fine classic model cars on the walls. Don't forget about our 10 X 5 Diamond Pro/Am table. Come challenge yourself today! We are a family owned establishment and have been in business since 2003. We truly love the game and especially our customers. © 2016 Gotham City Billiards.